Our Partnership comprises business and community members from across Wimmera Southern Mallee who care passionately about the future of our region. David Jochinke is a third generation grain and livestock farmer living in north west Victoria. David holds numerous positions of responsibility at a regional, State and National level. 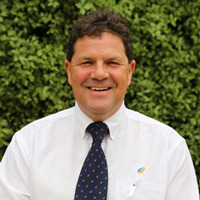 He is currently President of the Victorian Farmers Federation, Board Member of Grampians Wimmera Mallee Water and Board Member of the National Farmers Federation. David is a past recipient of the Nuffield Australian Farming Scholarship, completed his Diploma in Applied Science (Ag Services) and is an active contributor to his local community including membership of the Wimmera Machinery Field Days Committee, the Wallup Ag Group, the Northern Wimmera CFA Brigade and Committees for Birchip Cropping Group and Wimmera Farming Systems. 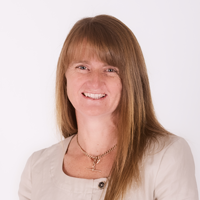 Emma Vogel is a partner in Belyana Partnership Farming and a director of Sustainable Project Services, which provides project management services and advice to companies and organisations wanting to invest or develop projects in regional Victoria. 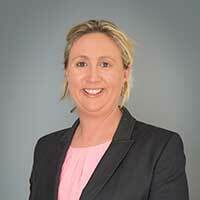 Emma has held senior roles in several private and public companies. 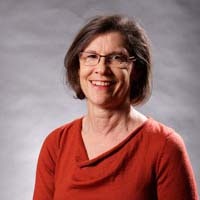 Emma is currently a member of the Donald Family Services Centre Advisory Committee, Donald Community Precinct Redevelopment Committee and the Birchip Cropping Group. Emma is passionate about developing economically sustainable rural communities and children’s health and education. Catherine joined Wimmera Health Care Group, a subregional base hospital in the Wimmera region as the Chief Executive Officer in September 2017. Catherine provides operational oversight of the health service and supports the Board of Management in their governance, policy, risk and strategic objectives. In 2017, Catherine was recognised as one of the Top 50 Public Sector Women in Victoria for her inspirational leadership at Rural Northwest Health. Catherine was celebrated as an exceptional female leader building high performing teams and transforming communities. John Richmond is the principal of Birchip P-12 School and is highly regarded among educators across our region. Apart from a stint at Ballarat Grammar as a graduate, John has spent the past 41 years serving the Birchip P-12 School community. His commitment to education was formally recognised in 2017 when he was awarded the prestigious peer-nominated John Laing Award by the Principals of Australia Institute. John is committed to improving educational opportunities and outcomes for students and their families in the Wimmera and Southern Mallee. 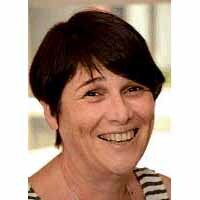 Emelia has a strong background in water management having been a Wimmera CMA Board member since 2011, Deputy Chair since 2013 and is on the board of the Wimmera Development Association (WDA). Emelia is an agricultural scientist, teacher and partner with her husband in a cropping and sheep farm business at Rupanyup South. Emelia brings experience in natural resource management, stakeholder engagement, governance and a strong farming background and involvement to the committee. 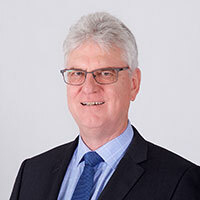 Mark Williams is the Managing Director of GWMWater and has worked with GWMWater and the former Grampians Water since 1996. In this time Mark has been responsible for overseeing the commercial implementation of water reforms in the region that include the delivery of water quality upgrades, investments that have improved water security and the introduction of independent service and price regulation by the Essential Services Commission. Robyn Gulline is a Director of Gulline Farms, she is a member of the Regional Development Australia Grampians Committee, a board member of Wimmera Development Association, Victorian Farmers Federation Wimmera Branch Vice-President and Grains Industry Representative and is Vice Chair of Partners in Grain Victoria/Tasmania. Robyn is passionate to see Wimmera Southern Mallee become a bright and vibrant region, with a diverse and growing population, a prosperous economy, strong employment, numerous TAFE and tertiary educational course opportunities and quality health services. Mr Greg Wood has more than 13 years’ executive and management experience in local government. Prior to being appointed CEO at Hindmarsh Shire in 2016, he was Director of Community Services and Emergency Management at the City of Casey. Greg has also held the position of Manager of Community Services at Port Phillip City Council. He has a strong reputation for delivery of quality services to the community and had previously been responsible for budgets and managing large numbers of staff. Greg’s aim is to build on the considerable strengths of Hindmarsh Shire Council by supporting the needs and aspirations of the people of Hindmarsh. 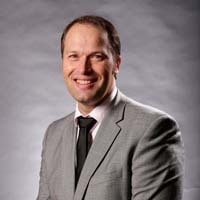 Michael Bailey is the Chief Executive Officer of Northern Grampians Shire. Michael returned to the region in 2015 after four years in Bendigo as CEO of Bendigo Regional YMCA. Michael has a long history in community development and has worked in the recovery roles after bush fires (2006) and drought. Michael is committed to working with the community to grow and develop in all forms from financial, social and environmental. Michael is passionate about the region and all it has to offer. David Leahy joined West Wimmera Shire Council as its CEO in February 2016. He previously spent seven years as Infrastructure Director with Swan Hill Rural City Council. During that time he was acting CEO on a number of occasions. Previously David has worked at Naracoorte-Lucindale Council in infrastructure roles, including two as Operations and Technical Services Director. David started his career at Whyalla City Council, followed by sixteen years with the SA State Road Authority where he oversaw multiple construction sites within the State. 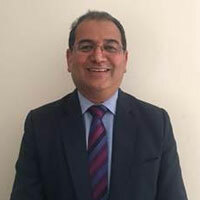 Sunil Bhalla commenced as Horsham Rural City Council CEO in April 2018. Sunil started his career in the private sector and has worked in Local Government for over 25 years, including 13 years in senior executive roles delivering significant projects. He was previously Director Infrastructure Services at the City of Maribyrnong, where he had finance and operational responsibility for a large team and the delivery of services and programs to a rapidly growing community. Prior to this, Sunil worked at the Surf Coast Shire Council for more than 14 years in a range of management positions including General Manager Governance and Infrastructure, Director Corporate Services, Director Infrastructure and Infrastructure manager. He was also with the Hume City Council for six years and the Shire of Bulla for over two years.